Treadmills are good exercise machines, which allow you to exercise at anytime of the day. However, it doesn’t replace actual outdoor exercises, and it is not recommended (to replace outdoor exercises). Are you looking for a new way of fitness workout that doesn’t tire you much? Are you tired of the same old exercise routine you’ve been doing for days? Do you want to do exercise(s) outside but cannot do so because of bad weather or other reasons? If you answered “yes” to all these questions, then what you need is a new treadmill! Treadmills are conveyor belt-like, exercise machines designed to emulate walking or running while staying only on one place. These machines can usually be seen on gyms and fitness establishments, to provide cardiovascular exercise, which in turn improves your stamina and oxygen system. But nowadays, treadmills can also be found on homes of health-conscious men and women, or those who have no time to go to gyms for their fitness workouts. With this piece of equipment, you can do those walking and jogging exercises at any time of the day, and also at the comfort of your own home! Look for treadmills at 2.0 minimum horsepower as anything lower than this may not be regarded a good investment. Note that treadmill motor serves as the core of the whole equipment as well as its most cost-effective part. Know the function and usability of the treadmills which may vary on the degree of their purpose and use. You may have to prefer for cheaper treadmill if you are purchasing one for home use just see to it that it has all the functions as well as usability that you need. Next thing to consider is whether you have a space constraint. A folding Treadmill is perfect if you live in an apartment or a small space as you can simply fold and keep your Treadmill in a matter of seconds. If space is not a issue. A Non-folding Treadmill will be your choice as it provides more stability. 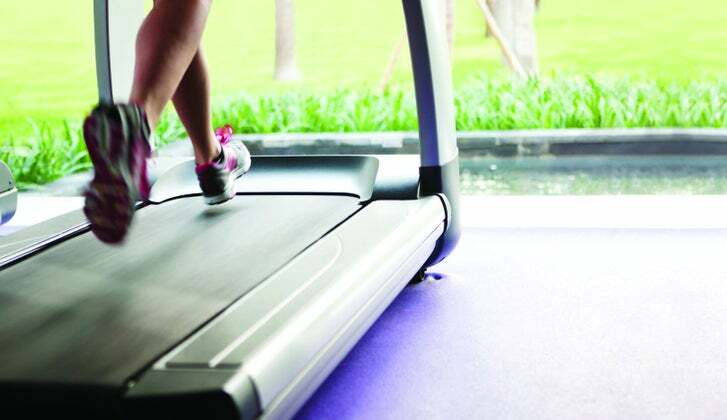 Although a non-fold up Treadmill will cost more than a Fold up Treadmill, a non-Fold up Treadmill will provide relatively more shock absorption for a heavy user. You may resort to consumer reviews for great and good source of comparing treadmill prices, pros, and cons. Use your different search engines and browse through websites and note for some of the essential recommendations from the other treadmill users or customers. Make a comparison among the top-rate brands of treadmill. You may find out some treadmill brands that are not that expensive, though they are popular. Checkout for the extra features and add-ons of the treadmills. These are the treadmills often offered in most sales and marketing hype. Some of them are necessary for your workout, while some are not. This then requires you to compare consumer reviews. Space optimization is crucial in selecting for the right treadmill to purchase, so it is advisable to take into consideration of the available space for your treadmill. This will help you make a sound decision o which folding models you should select. Prefer a treadmill that has a shock absorber for protection and safety purposes. Take into account that running on a hard surface may cause damage to your joints. Price is the most important factor that needs to be considered when buying a treadmill. Treadmill prices range for every store and model, so you need to allot a certain budget to avoid overspending. All of these tips will serve as your guide when you purchase fitness equipment, especially when you are offered with treadmill prices at either high or low levels. Basically, running is highly regarded a great means to get physically fit and rewards rapidly to those individuals who really persist. This is the perfect way or tip for you to make use of treadmills running efficiently. Read on this article and know how to make this possible. Running on a treadmill can be safer than running outside, notwithstanding the benefit of running anytime you would want, either night or day, or in any type of weather. Treadmills seemed to provide smooth surface for running that can be easier on your joints when compared to running outside the pavement provided that you are employing the proper exercise technique. You need not worry anymore on how to twist your ankle on the trail with uneven surface. Running on treadmill will also keep you from possible encounter with strange dogs, people, or even wild animals. This is a great advice from the machine’s manufacturer. It would be easy to identify your own incline and pace when you run on the treadmill. It would be enjoyable then to do the measurement of your physical fitness through statistics that is being calculated and found on the treadmill for the whole duration of your exercise. The treadmill will give you the feeling of running specific incline and pace and challenge yourself afterwards, the time when you make gradual mode of adjustments. Though you may never replace the benefit of getting outdoors and run under sunshine and have the fresh breeze of air, there are still days when using the treadmill machine is the only option available for you is to run on a treadmill. Treadmills running enable you to maximize your efforts in burning your calories on treadmill running machines. Your own ability to vary the intensity of your workout is considered the secret to a great exercise. You may challenge yourself with interval exercise by using manual adjustment on the treadmill’s speed and incline or by using preset running programs on treadmill. This serves as a fantastic means in progressing better physical fitness levels. Make certain to warm-up for approximately a half mile to start an interval exercise. The next thing you should do is to set the treadmills running on a speed that is lower than your usual running speed. You may alternate the workout in a faster speed with slower speed that is for a certain time intervals. You may start aiming for five intervals if you’re still a beginner and top-most speed while on progress. However, some people you have used treadmill stop their regimen simply because of boredom during their workout. You can deal this predicament by using headphones and downloading music coming from the website. Try to select songs that help you motivate and set for predetermined songs. Another way is to record your most preferred TV programs during the whole week and make up on them during your treadmill exercise. But see to it that these distractions won’t pull you away from the proper treadmills running workout technique as well as from the focus essential in completing a great offer of treadmill exercise. Remember that the best treadmill brands are loaded with all sorts of different features, warranties, sizes and other criteria that you will have to take into consideration. We do our best to compare all their different features and we’re sure that this will give you the ability to make a better informed decision.